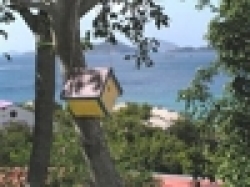 VILLAS AND APARTMENTS TO RENT IN THE US VIRGIN ISLANDS, THE CARIBBEAN. 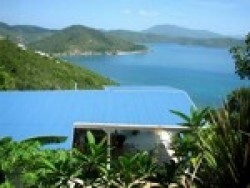 Welcome to our selection of holiday homes to rent in the US Virgin Islands, the Caribbean. The US Virgin Islands are a group of islands within the Caribbean that are an unincorporated territory of the USA. The most widely spoken language is English, while the US dollar is the official currency. The country is made up of four main islands, Saint Croix, Saint John, Saint Thomas and the smaller Water Island, plus dozens of other islands, many of which are so small they are uninhabited. The area is very popular with US tourists and there are regular flights from the mainland USA to the two airports which serve the Virgin Islands. The US Virgin Islands are the only part of the USA where you drive on the left, a hangover from the days when the territory belonged to Denmark. While there are plenty of historical and cultural attractions on each of the main islands, the fact remains that most tourists are only here for the sun, sea and sand. You should take some time off sunbathing to explore the pretty town of Charlotte Amalie on Saint Thomas, the capital of the US Virgin Islands, while a boat trip is a great way to explore some of the other islands in the region. However, there are so many wonderful beaches to explore throughout the US Virgin Islands that you could easily spend your whole holiday just trying out a different one every day � and never get bored. Magens Bay on Saint Thomas is hard to beat for natural beauty, thanks to its sheltered environment and pure, white sand. Because of this, it can get very busy in the peak season, with bus trips from the cruise ships joining locals and holidaymakers staying on the island. A quieter option is Cane Garden Bay on the smaller island on Tortola. Arrive by boat to get the best view of this typical Caribbean beach. Saint John is home to one of the best beaches in the world, if you believe tourist magazines and internet polls. Trunk Bay is also popular with cruise ship passengers, while it is a great pace for snorkelling thanks to the underwater coral reef trail. Onshore, the white sand beach is backed by a pleasant pine forest, creating lots of natural shade. The largest beach on the US Virgin Islands is Sandy Point on Saint Croix, which is situated right next to the airport. Not a great location for peace and quiet, but watching the planes come and go will keep the kids amused! The beach is only open on weekends as it is a protected nesting site for an endangered species of sea turtle. Looking for self catering holiday accommodation in the US Virgin Islands? Then below is a selection of apartments in the US Virgin Islands and villas in the US Virgin Islands that can be rented direct from their owners. You can either click on each listing for further details or you can use our search engine on the left if you are looking for something in particular.